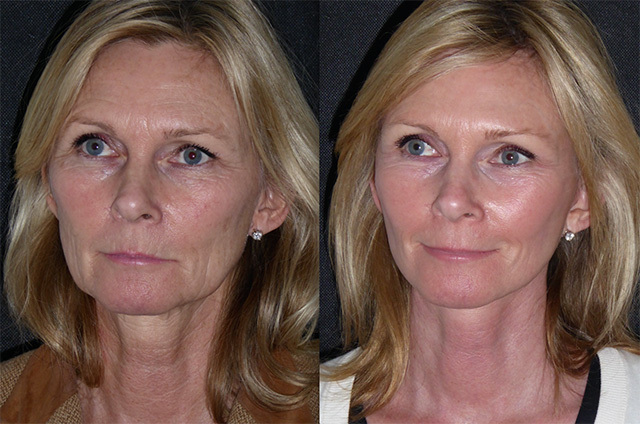 Jane wanted to freshen her appearance but I had a 9 month wait for consultation. After diligently calling Lucy on a Monday managed to jump the waiting list and came in for a consultation at short notice in a cancellation slot. 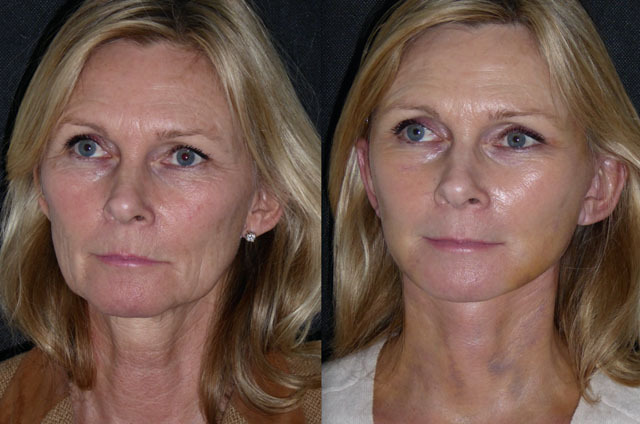 A beautiful and slim faced lady, the devolumisation and descent of her mid face had caused jowling with loss of jaw and neck line definition. 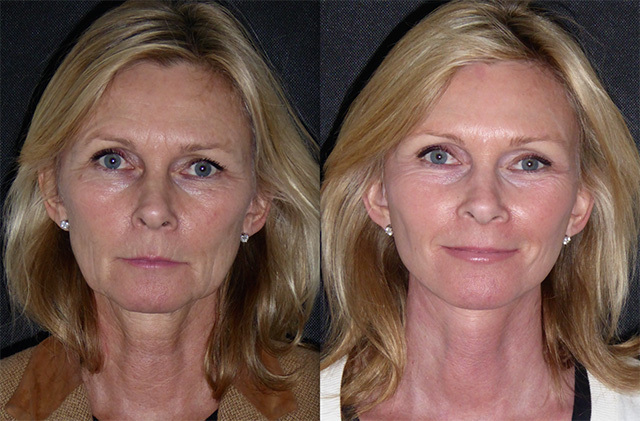 Her lateral brow sat a little low so we undertook and face neck and brow lift shortly after her consult. This is her journey. Jane did great yesterday. Those that approach surgery with a positive mental attitude and let us do the worrying for them always breeze through. Jane’s lift was straight forward and I suspect she will have a brilliant result. 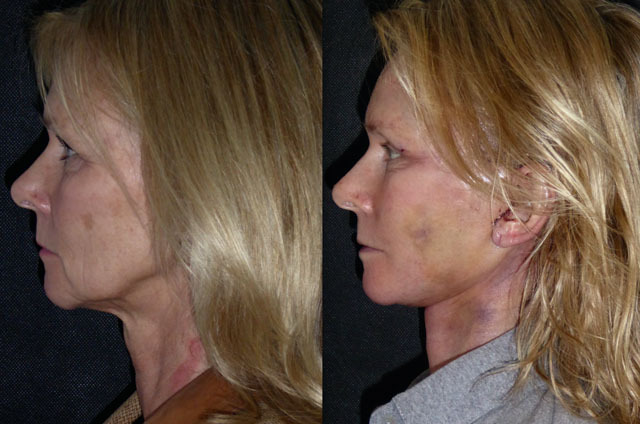 Day one is always ‘alien day’ but despite the expected swelling Jane’s new facial definition is obvious. 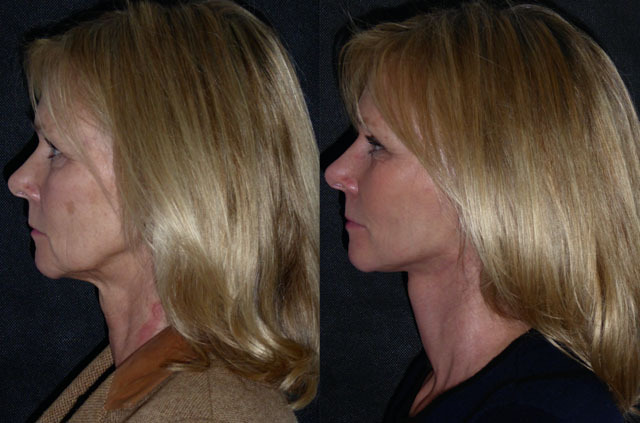 The change in her profile view is astonishing. Looking forward to her progress. At a week, Jane is doing great. 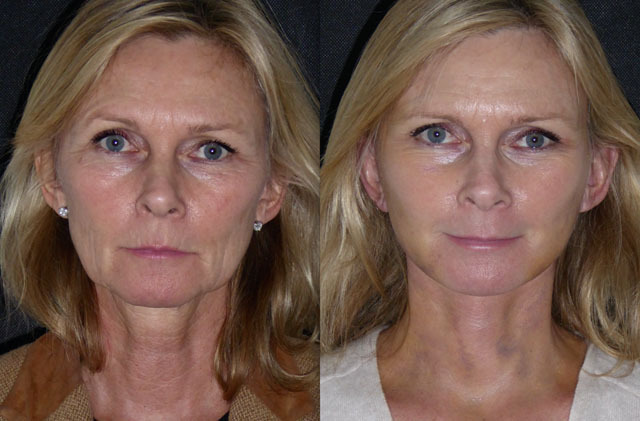 Swelling is settling quickly to reveal the most stunning refined facial shape. 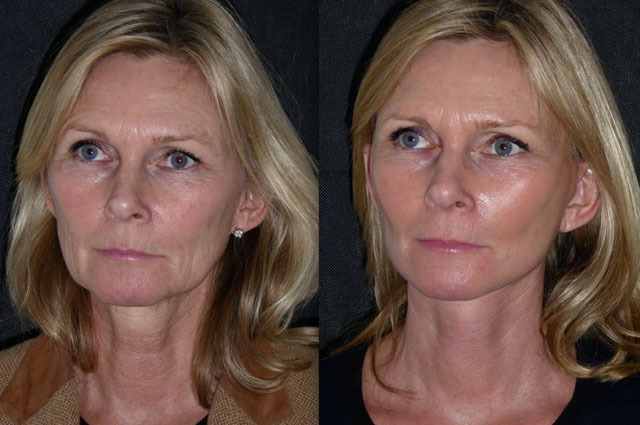 The brow lift has opened Jane’s eyes making her look refreshed, lovely volumised in her mid face sweeps to a natural and defined jawline. The picture below shows her incision lines just before I removed her stitches. Jane is back to see me a little early as she is in London on other business. She looks brilliant. 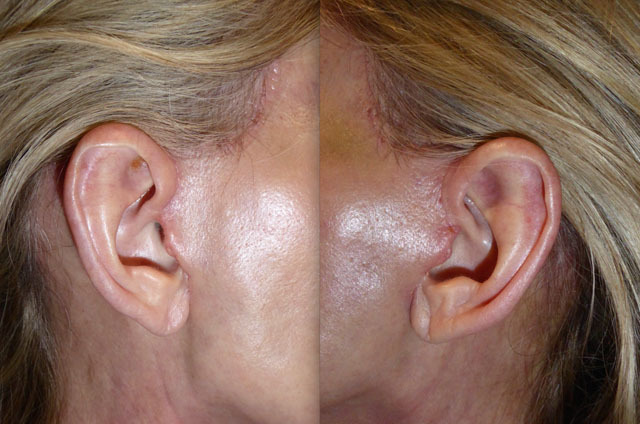 Super fast healing, Her scars (below) are already difficult to see. 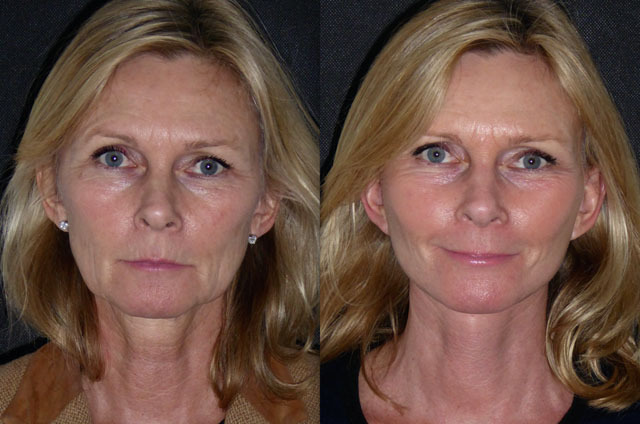 Jane’s face has been completely rejuvenated with lovely mid facial volume and a refined neck and jawline. 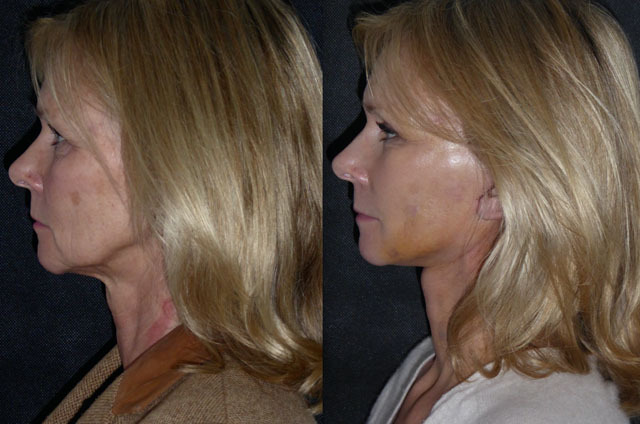 Prescription skin care is already targeting er melasma (brown spots) and her skin glows and feels hydrated and supple. 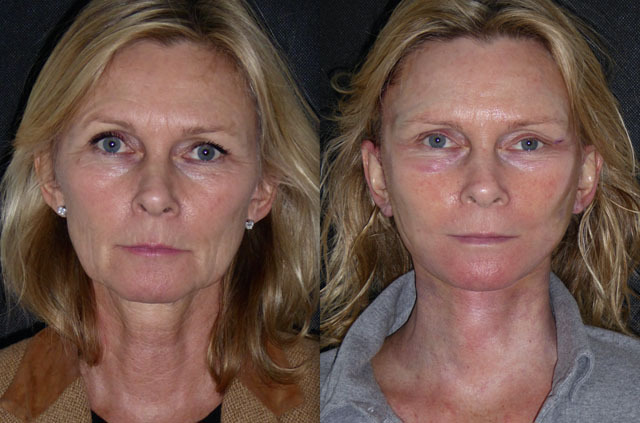 At 4 months out from surgery Jane looks simply amazing, what a lovely transformation. 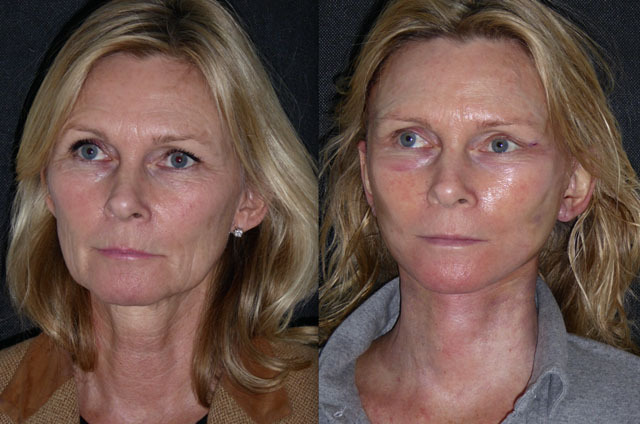 Having meticulously followed the skincare program Jane’s skin is renewed with beautiful even tone and almost no hyperpigmentation. 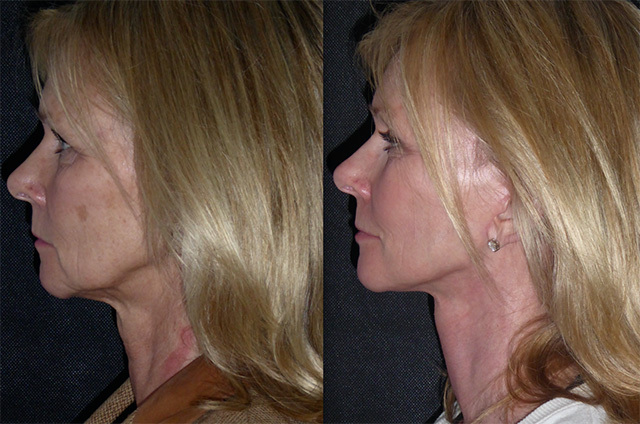 With a wonderful lyvolumised midface and an elegant neck and jawline, Jane looks proportionate, well, refreshed and happy. 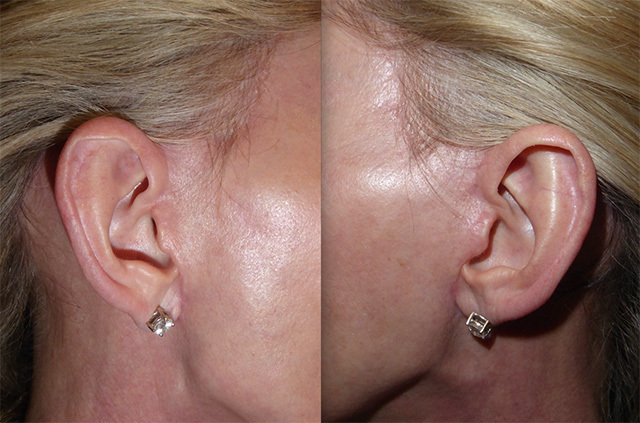 Her scars are now almost invisible even under clinical lighting and magnified loupes. I love this result!